Life is a series of adventures; some are monumental moments like graduation and others are simply small daily joys. I couldn’t help, but watch a family that was a few pews ahead of me today. The grandfather was beside two grown daughters and their children which ranged from a baby to teenagers. Grandpa proudly introduced himself and was attentive to the whole group. The daughters were preoccupied with tending to the littler children. 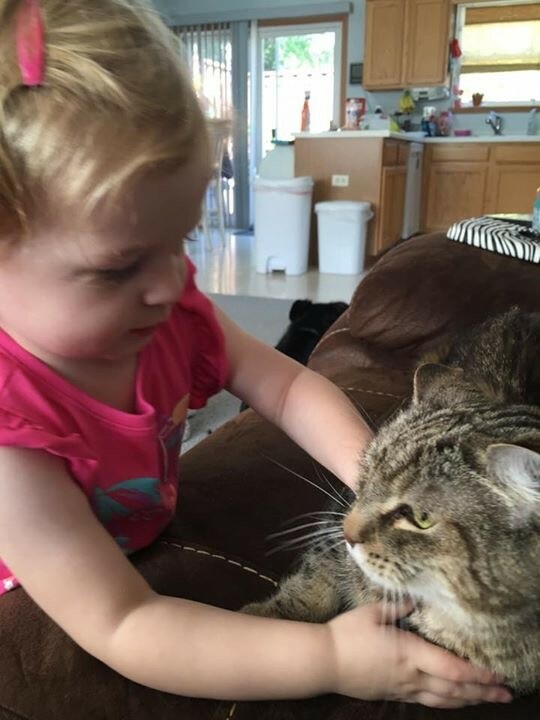 This small child is being entertained by an old cat. Children and animals are intrigued with one another. Why is it we lose our joys in the small things as we grow up? Do we get so immersed in the larger problems that we lose sight of the important things in life? And why is that? As kids we love cartoons, deal with the mosquito bites, and sleep so soundly. We enjoy our friends and go with the flow at home. We don’t get overwhelmed with trying to do so many things well, that we lose enjoyment in a few things. As we get older, we don’t make time to watch cartoons (unless we have small children to sit with) or time to color. That is one of the reasons, the new craze of coloring has taken off. It gives us permission to sit and unwind. Cartoons, playing hopscotch, and running after lightning bugs used to be fun and kept our metabolisms burning naturally. We rode our bikes around after dinner and talked to the neighbors on the front porch. We knew one another. I have decided that I will consciously rejoice in the successes of everyone around me. I mean to go out of my way to endorse those on Facebook, Congratulate those at church and the community for their achievements. Although in my head I am happy for others, it takes only an extra few minutes to call someone or acknowledge their joys. This week I intentionally stopped at a neighbors as I saw her sweeping her driveway. It is the 2nd time this year that I have seen her outside and it is the end of September. People just don’t hang out in our area like they once did. I am going to connect more!!! 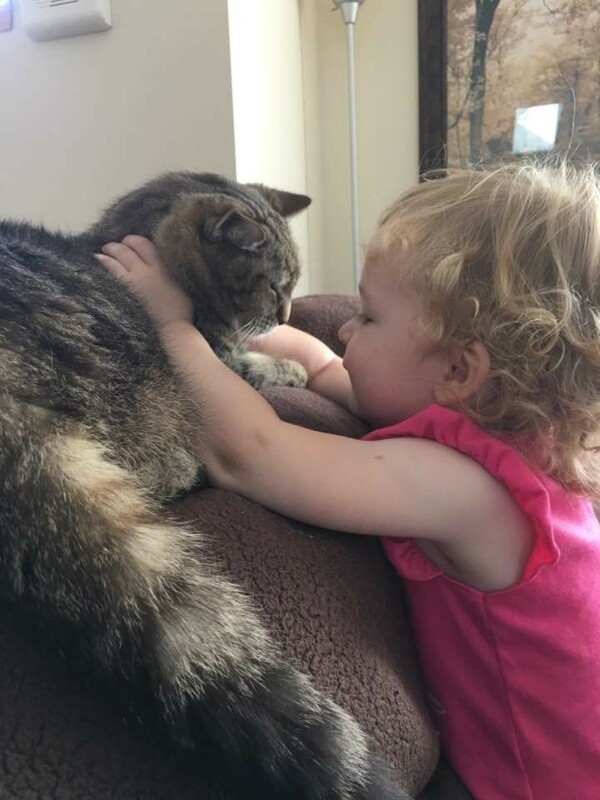 At one time, we saw each other daily as our small children engaged in playing. Now we grown children we seldom connect. What a shame! How are you doing in this area? Are your kids still young? Are you finding you do or don’t connect? Today I met one of the new Deacons at our church. I saw that all the hard work he and his wife had put into his studying and time learning was now very exciting as he was ordained to serve the community. He was truly excited and humbled by the new position. It would have been easy to walk around him after the service and say nothing, but I thought about all the effort that had gone into this decision and education. He is also setting the bar high for all the young people by his example. All achievements whether it is raising children, playing with the family, working at a job, or cutting the grass add up to a life of happiness and fulfillment. Life is ongoing and sets the way for the next generation. Taking joy in our health and the many blessings that come our way is the most important thing we can do. IF YOU HAVE TIME, PLEASE CHECK OUT –Scottish Saints and Sea Horses! on U-Tube with Fr Roderick, he makes the mini moments alive and so worthwhile with his travels. Enjoy your week, your families, pets, and neighbors. Take time to Delight in Living!